I borrowed the Love at First Stitch book by Tilly Walnes from the library, and have been working my way through the retro projects included. My first project from the book was the Margot pyjama bottoms. 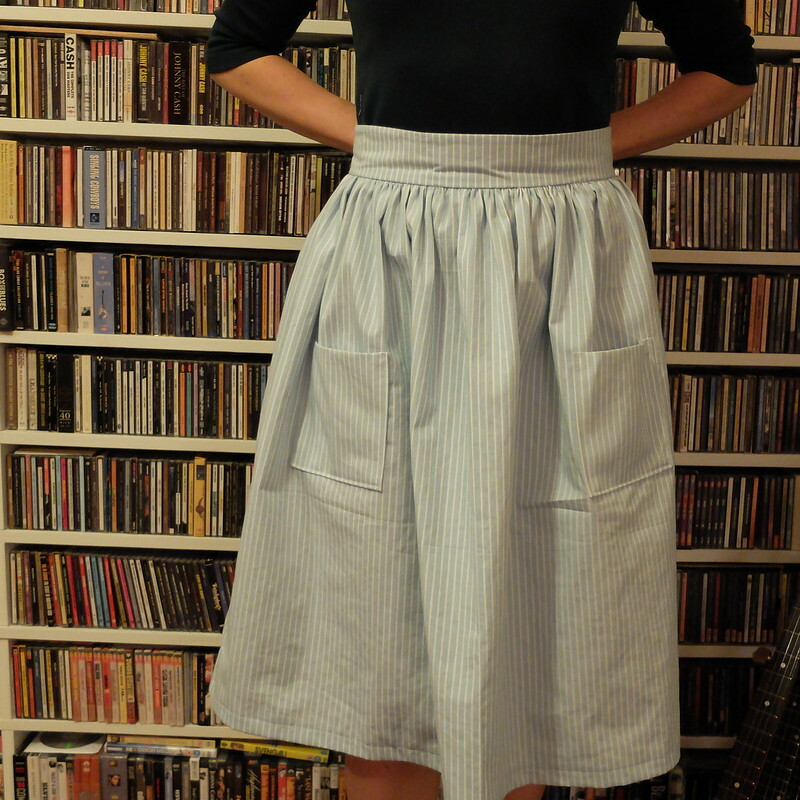 This time I decided to tackle the 'Clemence' skirt. 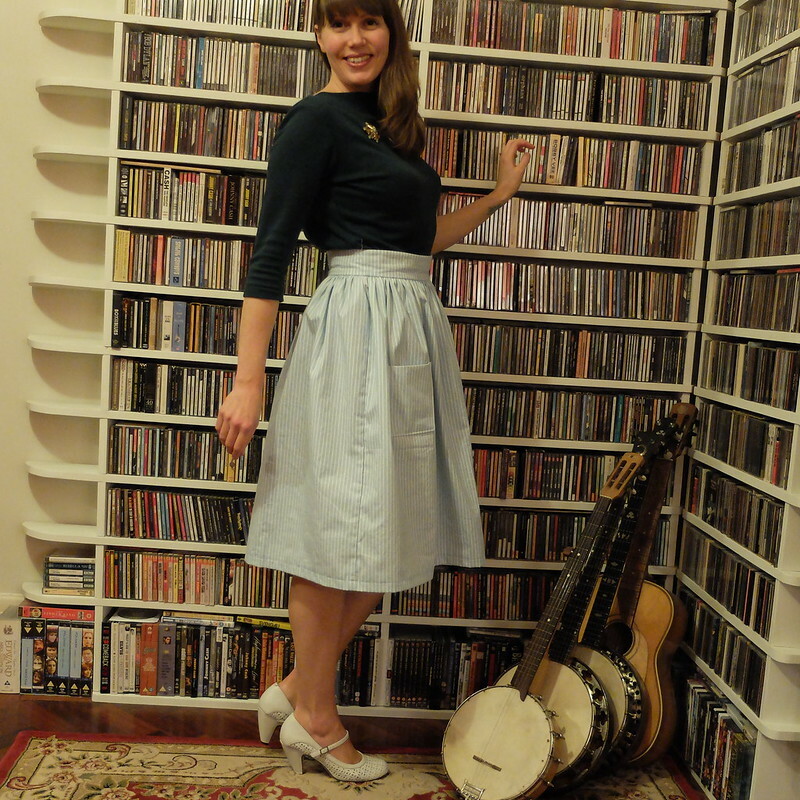 It's a simple style, with a full, gathered skirt, and fitted waistband. 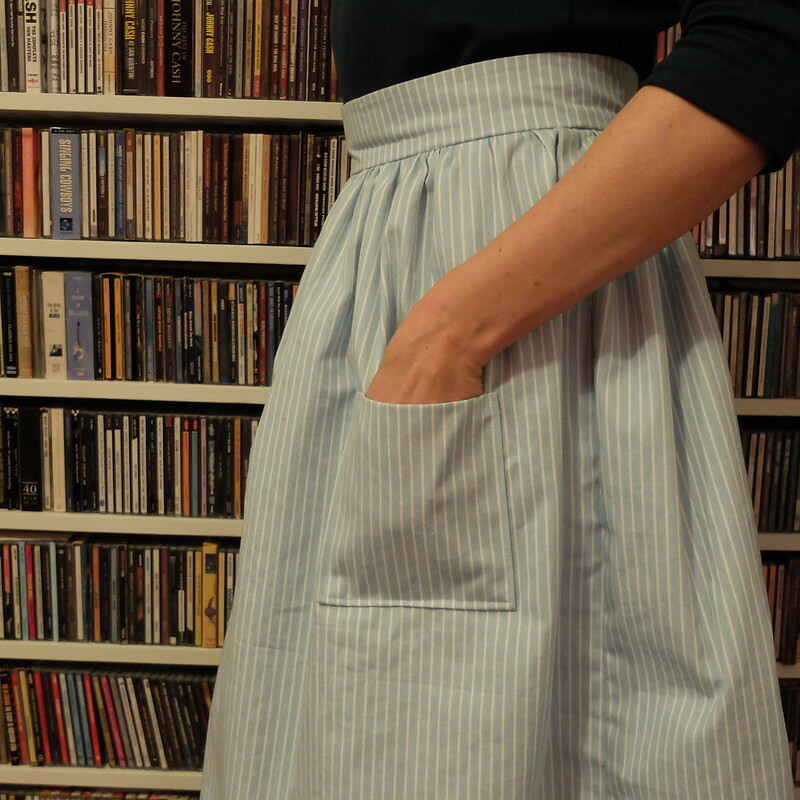 I envisaged mine as a sort of mid-century house-skirt, with large patch pockets to pop things in. There isn't a pattern included in the book, rather there are instructions for you to draft your own pattern. I've already self-drafted a wrap top and a few other items, so I wasn't too phased by this. I was however, dreading the inevitable zip insertion. And the gathering. And the waistband. Well, you've got to throw yourself in the deep-end sometimes to learn faster! Following the step-by-step instructions, with photographs, I found it easy to draft the pattern pieces. Cutting them out was even easier, thanks to my Christmas gift of a rotary cutter and cutting mat (thanks Mum!). It really is fantastic, and made the process much quicker. So far so good. The first hurdle was the gathering. As expected, it was tricky, and I didn't do a great job of making it even. But, I don't notice it too much in the finished skirt. The next hurdle was a bit more problematic. When I tried the skirt on it was far too tight to be a comfy, casual skirt. I didn't have enough fabric left to make an entirely new, larger waistband, so had to slice the existing one and join new bits to it. That was a bit of a faff, getting the new waistband joins to match up with the side seams. You wouldn't really notice that it's not all one piece now it's sewn up, phew! I have since discovered that I have a weird ruler. Part of it is correct, showing inches divided into 1/16ths. But, part of it shows inches divided into 1/10ths. I am baffled as to what use that could possibly be to anybody. I must have used the tenths bit when measuring out my waistband, which means all of my measurements would have been out. Gah! The fun didn't stop there, oh no. I struggle with inserting zips at the best of times. What I hadn't reckoned on was that because of the gathering, coupled with my fabric being at the heavier end of the spectrum, an invisible zip wouldn't zip up on me, despite zipping up laid flat! I tried multiple times. I unpicked and wailed a few times. I didn't have a regular zip and I am not keen to spend another extortionate amount on a new one at Hobbycraft (my only option locally) so I fudged the invisible zip to fit, rather visibly. Sigh. 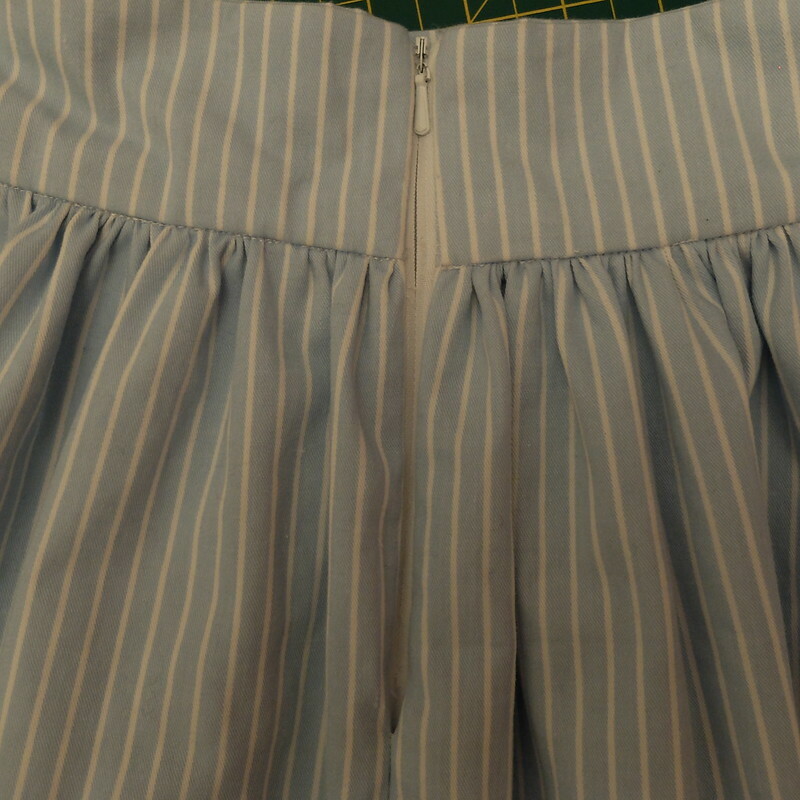 The final step was to add the pockets, which I found out you're still meant to do before you sew up the skirt. 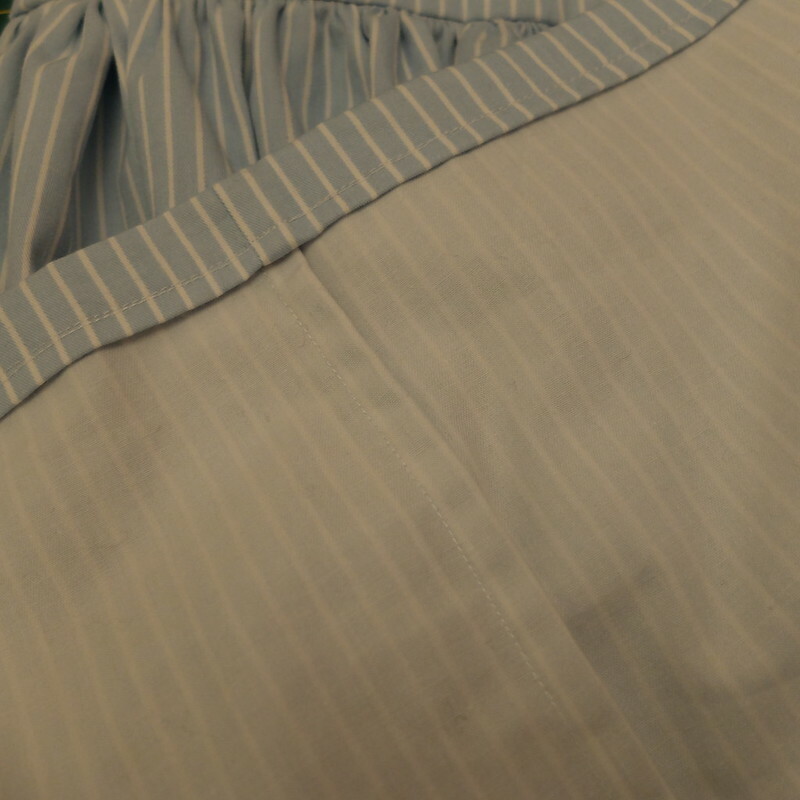 It was perhaps then a little more difficult attaching pockets to a rather poufy skirt front, but I got them in the right place after a bit of trial and error. I think they make the skirt, and it will be so practical now. I probably should have given it a final press before I took these photos, but it was getting late. Above: The badly inserted, very visible invisible zip! I bought some rather stiff striped cotton fabric (no idea what the proper name for that is) from a remnants basket in a charity shop, and thought that would do nicely, as the stiffness would help hold the poufy shape. I think it was a good choice, despite the zip issues, which could easily be solved by adding in a normal zip. The fabric was no more than £2, which was less than the Hobbycraft zip at £2.35! 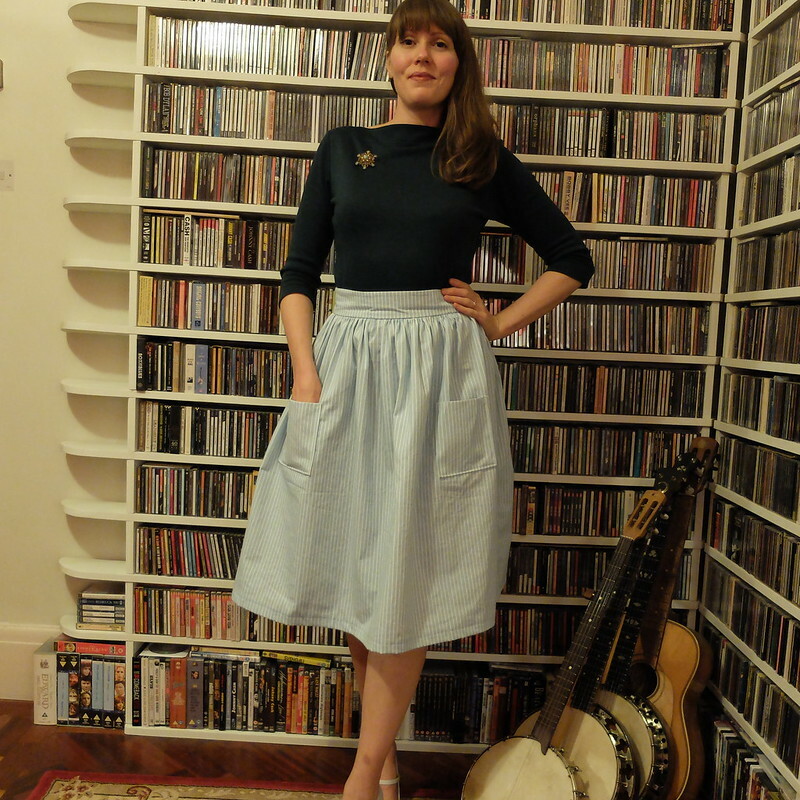 The thread was from a stash given to me by a friend, so the total cost of the skirt was under a fiver (well, under a tenner if you factor in my library fine for not returning the book on time...). It was frustrating to make, but I think I'll get a lot of wear out of this skirt, and dare I say it, try out this pattern again in the future if I come across some suitable fabric. Gathering is easier if you use something heavier to do the actual gathering. You zig zag over heavy duty thread, dental floss, or something along those lines, and then pull the heavier thread. I think tenths might be for drafting? Thank you for the tip about the heavier thread, I'll try that next time! You're welcome. Crochet thread should work well, too. 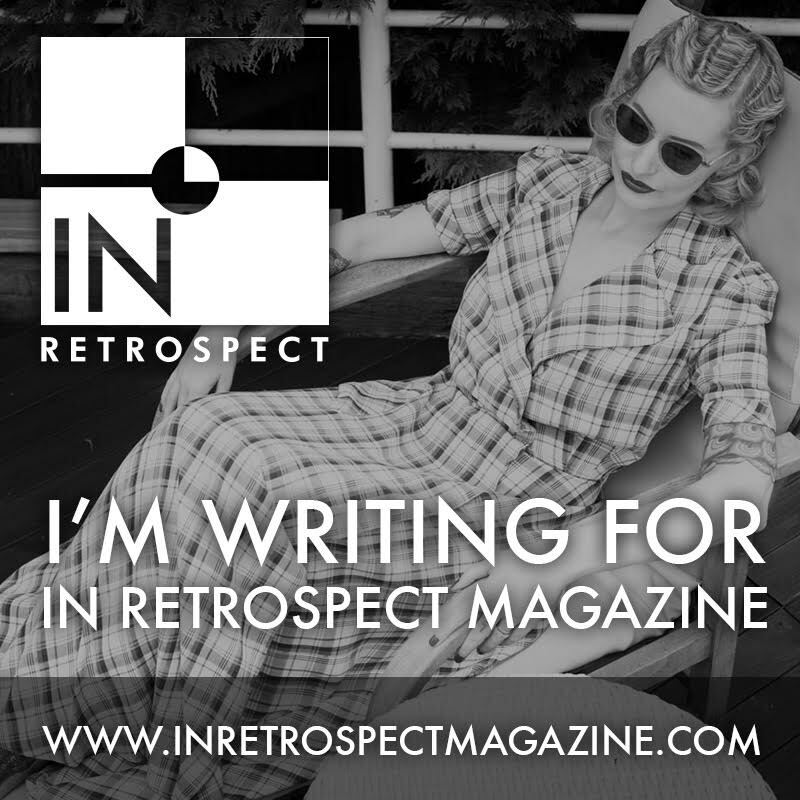 I think it looks fab - the fact that you're doing your own drafting is really impressive. Ooh! I love this skirt! The stripes are so adorable!!! And you matched the pocket stripes to the skirt! High 5 for that!!! 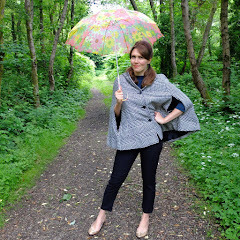 I can see huge improvements in your sewing with every garment that you make! 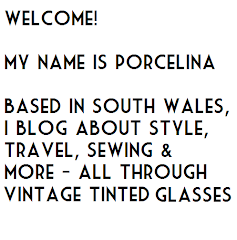 So enjoying your sewing adventures, keep em coming!!! Why thank you for such enthusiastic cheer-leading!! 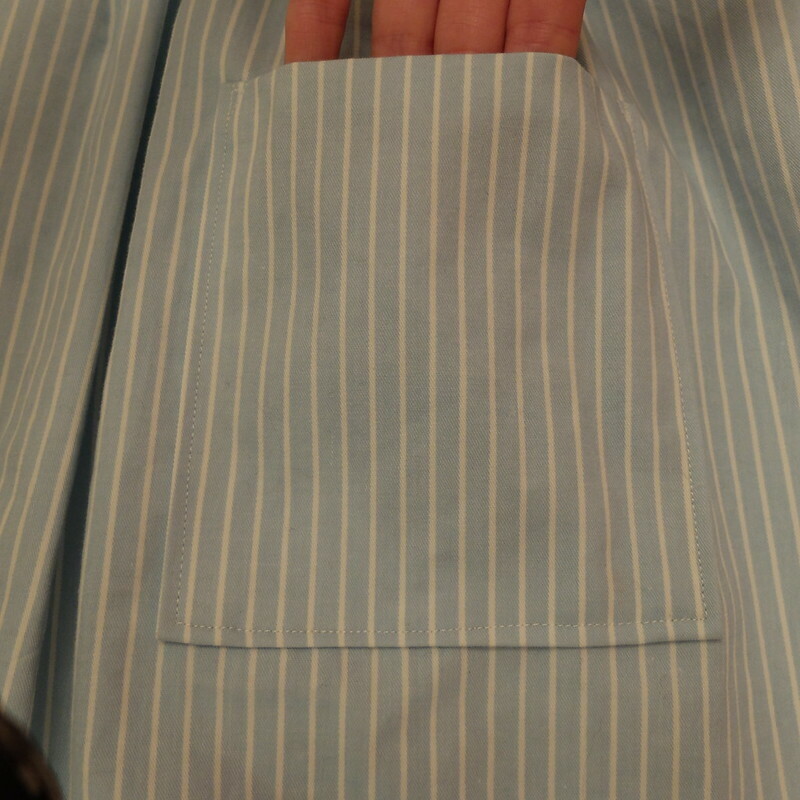 I matched the pocket stripes instinctively, and was quite chuffed afterwards when I realised that was the proper thing to do. Oh I love it, it's so cute! You're right, the patch pockets definitely make the skirt and I love the puffiness of it. Thanks for the zip tip!! I will definitely check the seller out. More zippy projects lined up. I just got tired of fussing with Invisible zippers and now hand set them. I think they are much more elegant looking. 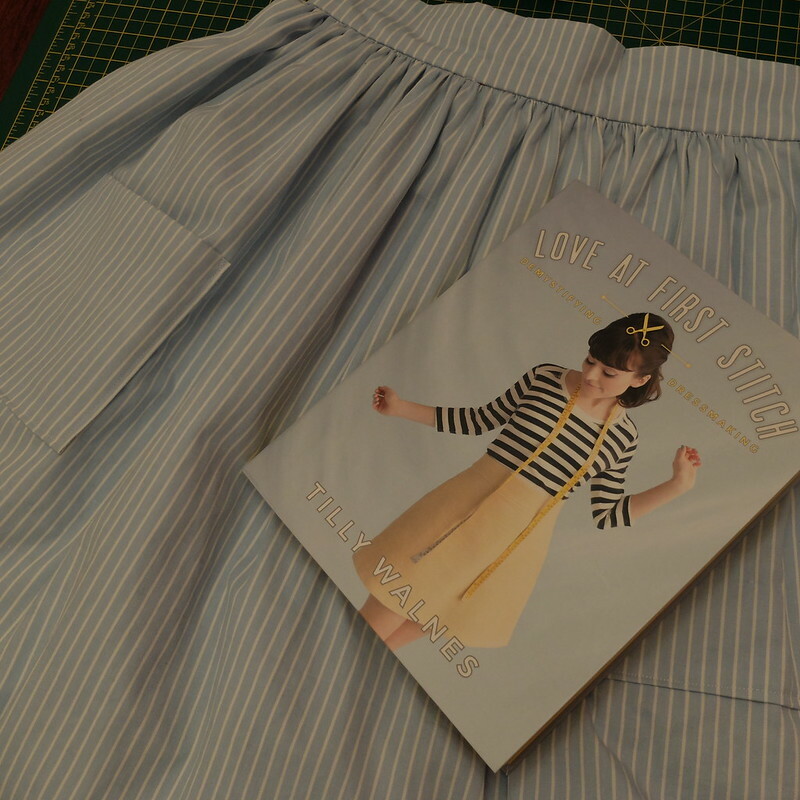 Making some of my own clothes is one of my things so keep on sewing! Its a great thing. that skirt looks totally cool!! love the fabric! Some tips on gathering and inserting zippers, in case it wasn't mentioned in the book or elsewhere: if you sew two rows to gather instead of just one row of stitching, it is much easier to gather evenly. Because it will gather "flatter" your gathers won't go any which way and pucker as you try to attach it to the waistband.